Call it Snowbirding or Winter Migration or whatever, the population of the nation undergoes a significant redistribution twice a year. Kaye and I are part of the northern exodus that accompanies the onset of cold weather in Michigan. We stayed home long enough to have Christmas with the kids and grandkids, and then we hitched up the RV and set the GPS for the Alabama coast and took off. 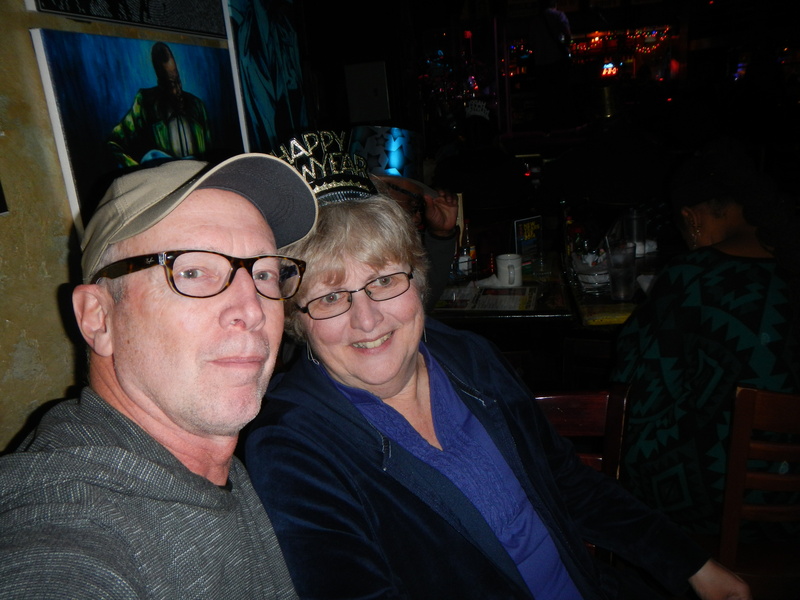 On the way down, we stopped at Memphis Tennessee for a New Year’s Eve dinner of catfish and ribs at B.B. King’s Blues Club. Outside B.B. 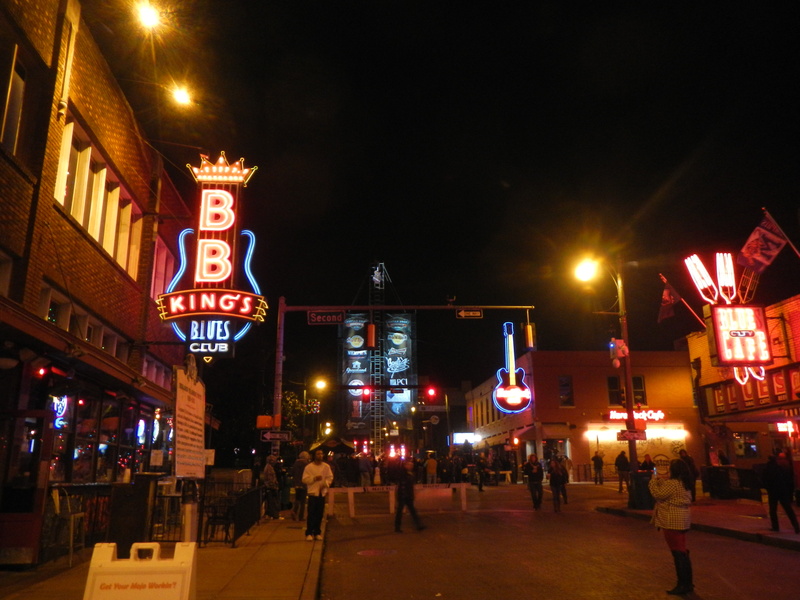 King’s Blues Club the street was starting to fill with party-goers who were waiting for the midnight Guitar Drop at the end of Beale Street..
A New Year’s Eve dinner at B.B. King’s Blues Club was an unexpected bonus for us. Our first campsite of the trip and of the year was at Tom Sawyer RV Park on the west bank of the mighty Mississippi River where the tugs were shoving the barges up and down the river all night long. 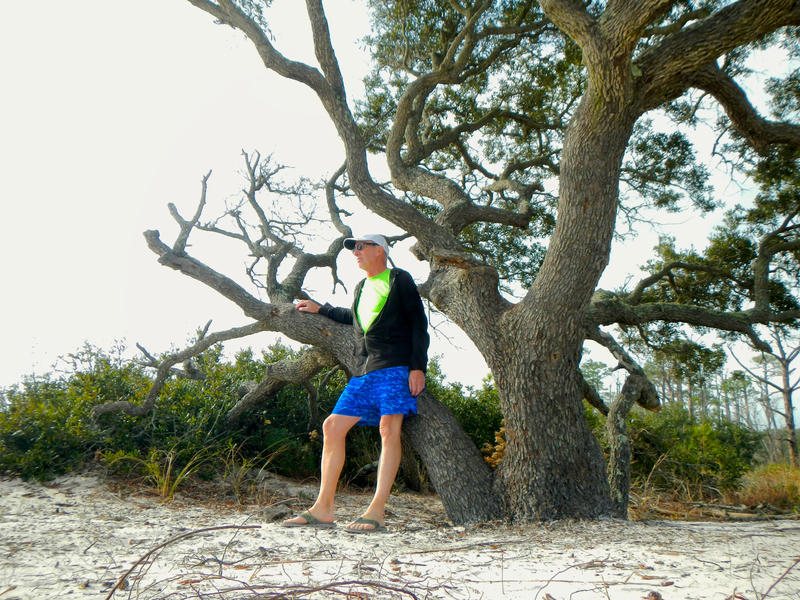 A third day of driving landed us at Dauphin Island Park a few miles off the coast of Alabama at the mouth of Mobile Bay. 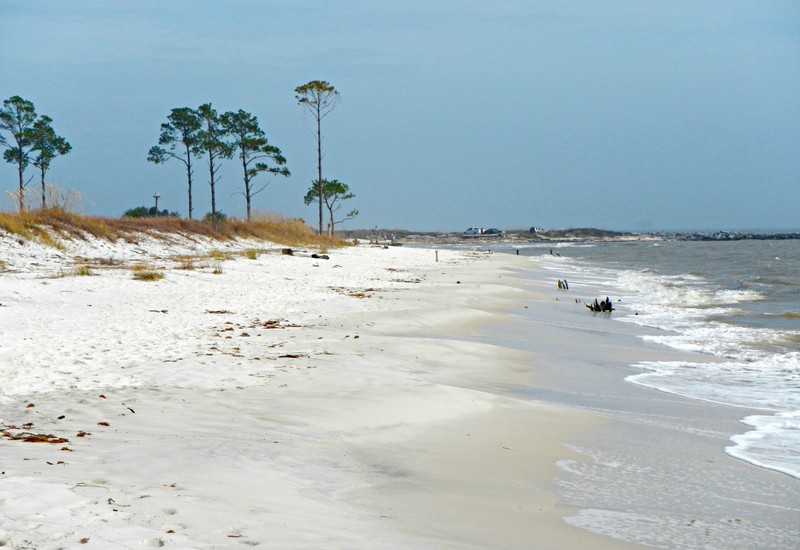 Dauphin Island is fringed with white sand beaches, one of them a short walk from our campsite. 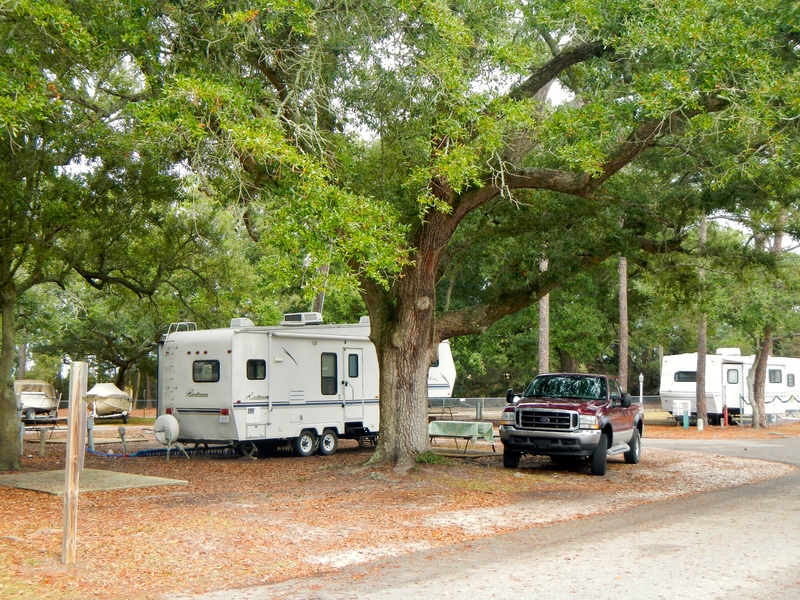 Our spacious campsite is under a stately old live oak tree. Dauphin Island is the site of the historical Fort Gaines that saw action during the Civil War Battle of Mobile Bay (1864). It’s open to the public and promises to be a great backdrop for some photography in a couple of days. Across the bay is its counterpart, Fort Morgan on another barrier island. 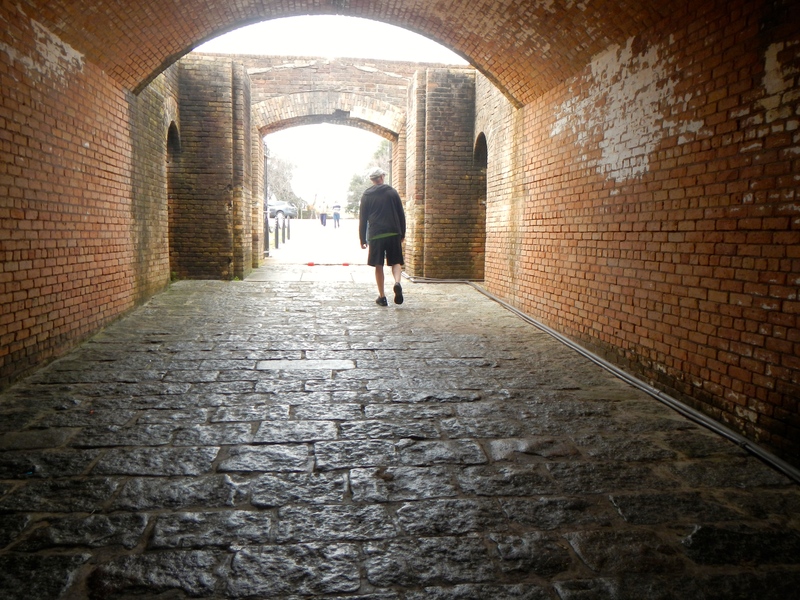 I’m looking forward to a wandering tour of Fort Gaines with the good camera. On the first day here I jumped on the bike and took off for a 6-mile ride. This is one of the reasons Kaye and I like to get away from the north during the winter; our exercise routine falls apart when the cold weather arrives. At this southern island there are many miles of cycling trails and beaches to be explored. 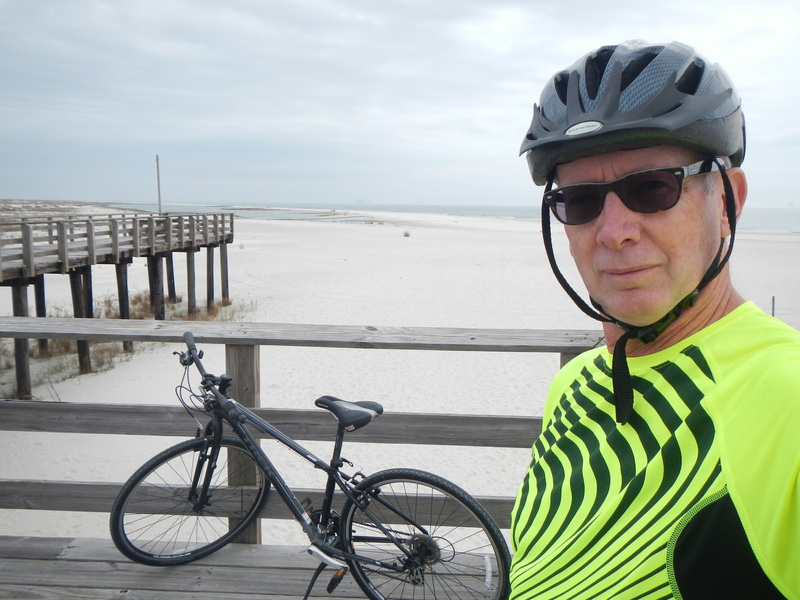 All roads — and bike trails — lead from one beach to the next at Dauphin Island. The island also is home to a nice Audubon sanctuary, although I think the terns and the pelicans may be outnumbered by snowbirds during the winter. So this is our home for the month of January. When we left the north it was 10 degrees. Today it reached 70 here. That’s what I’m talking about! I haven’t slipped on snow or ice even once since arriving. I dug out my shorts and flip flops shortly after arriving and setting up camp not far from the beach..